You have organized your outdoor living area to accommodate your guests in style and comfort. Your entertaining areas are dressed with special features and touches to reflect your personal style. A ready supply of festive, summer dishes and serving pieces are at the ready. What are you missing? While you likely take time in planning a menu full of summer flavors and seasonings for your planned outdoor entertaining events, this Mom is frequently called upon to accommodate impromptu guests, especially during the summer months. I will admit that I've been able to pull together a summer feast to impress on short notice, more often than not, unexpected guests are treated to light, simple fare. Sour cream, cottage cheese or ricotta and spices for whipping up a dip to delight. Protein: beef, pork or chicken for quick kabobs for the grill. Cake or brownie mix, ice cream or frozen yogurt for created quick layered desserts. Although certain items on my summer entertaining Must Have list must be replenished weekly, others may be held for just the right occasion. I enjoy stopping into local bakeries and specialty stores to find new offerings for serving to my guests. However, as of late, I have begun to find more unique and gourmet products at the grocery, with tempting flavor combinations and a greater amount of visual appeal. Among my new finds are a delightful snack, perfect for guests or for family, Baguette Chips from Pillsbury. Unlike more traditional snacks, such as potato or tortillas chips, pretzels or nuts, whose flavor is often masked by heavy salt content, my family and my summer guests have all been delighted by Baguette Chips. Just the right thickness and crunch factor and whose flavor is based in well matched seasonings, rather than salt, and 50% less fat than traditional chips, Baguette Chips are the perfect pantry item for any season. Available in two tempting flavors, Cheddar Sun-Dried Tomato and Italian Cheese & Herb, both varieties are delicious, perfect for snacking or serving to guests. From taste testing by family members and guests, we found everyone to enjoy the Italian Cheese & Herb variety, while some of the younger members of our testing crew were not as fond of the Cheddar Sun-Dried Tomato variety. All the better for this Mom and her guests who found this version of Baguette Chips beyond tasty and appreciate that these gourmet snacks are merely 130 calories per generous serving! This Mom highly recommends Baguette Chips for both family and guests. Please find Pillsbury Baguette Chip coupon. General Mills through My Blog Spark is generously offering That's What She Said readers an opportunity to win a prize pack of Baguette Chips, enough for treating your own family as well as your summer guests! Winner will receive three bags of Cheddar Sun-Dried Tomato and three bags of Italian Cheese & Herb Baguette Chips! This giveaway is open to residents of US, 18+ and will end on Wednesday, August 15 at 11:59pm EST. Winners will be notified by email. Please leave your email address in anti-spam format in your comment if it is not available through your comment name. Winner must respond within 24 hours or a runner winner will be selected. Sponsor is responsible for providing and shipping prize pack. Visit the Pillsbury Website and share in a comment below which of their products is your favorite or which you would most like to try and why, 1 entry. *Enter another That's What She Said giveaway, leave comment below telling me which, 1 entry. *Comment on a non-giveaway post, leave comment below telling me which, 1 entry. *Follow That's What She Said on Facebook, leave comment with your Facebook name, 1 entry. *Follow That's What She Said (tsue1136) on Twitter, leave comment with Twitter name, 1 entry. *Share this giveaway in any fashion, including the link to this post, leave comment with link to your share, 1 entry. *Share with me which flavor of Baguette Chips you think would be your favorite in a comment below, 1 entry. *Like our site? Review That's What She Said on Alexa, leave comment letting me know, 10 entries. The product, gift pack, information, and additional sample have been provided by General Mills through MyBlogSpark. The opinions above are both honest and of my own experiences. 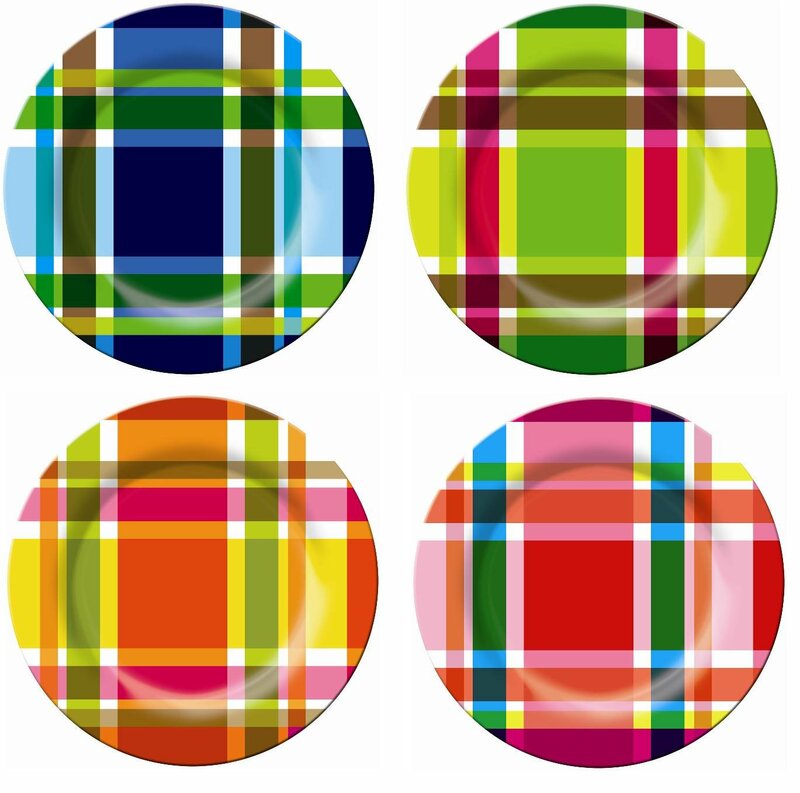 Outdoor Dining Plates Image. Facebook, Pinterest,and Google+ are not involved in nor responsible for this giveaway in any fashion. I love Pillsbury products. I think I would try the pie crusts. They'd be easy to use straight from the fridge. I would most like to try their Pie Crust since I have never bought a premade crust before. I am getting tired of making pie crusts from scratch. I would like the Italian Herb the best!! In our home the buttermilk biscuits don't last very long. They are gone in a few minutes. We love them. I love their read to bake hersheys kisses cookies because they're always gone in minutes. We love the Pillsbury Grands frozen biscuits. My favorite would be the Italian Cheese and Herb Baguette Chips. I love Pillsbury Crescent Rolls because the dough is so versatile, you can use it to make so many sweet or savory dishes. I would like the Italian herb and cheese. Follow That's what she said on Facebook. i still love their crescent rolls! The crescents because they can be dinner or desert. is one I will enter. I want to try the Cheddar Sun-Dried Tomato baguette chips. I love anything cheddar. I like their pie crusts. They are so easy to use. I love the Grands! Cinnamon Rolls! They are so ooey and gooey and mouth-watering, I can't help but eat more than one! Thanks. Pillsbury Cinnamon Rolls, especially on a Sunday morning are a favorite at our home. The Italian Herb & Cheese flavor Baguette chip would be my first flavor to try. My favorite is the Cinnamon Rolls with Cream Cheese Icing. Flaky Cinnamon Rolls with Butter Cream Icing are my all time favorite Pillsbury product so far...no, wait, I love them all! I love pillsbury cookie dough. I love their cookies! and I want to try the Baguette Chips cuz they look so good! J'Adore the Cinnabon Cinnamon Rolls! I love the cinnamon rolls. Crescents is my fave I can make so many things with them. the minnie cookies!my kids would love them! I'd like to try the new Shape Cookies. They would be fun for parties. I'd like theItalian Cheese & Herb because they are my favorite flavors. I'd like to try the sundried tomatoe baguette chips! I really want to try the Italian Cheese & Herb Baguette Chips. I love Pilsbury Cinnamon Rolls. I think the Italian Cheese & Herb flavor would be my favorite. I like those Pillsbury Crescent Rolls. I'd like to try their Simply...®Buttermilk Biscuits, they sound great! I'd like to try the Italian Cheese & Herb Baguette Chips in my soup because I think it would taste amazing. My favorite is their cookie dough, of course! The refrigerated Pillsbury pie crust is my favorite-i can make pies fast and tastes great. The refridgerated cookie dough-chocholate chip. I like Pillsbury Crescent Rolls. I would like to try the Italian herb and cheese.